Seemorerocks: the US is now basically permanently parked at the entrance into Russia's main Black Sea port. the US is now basically permanently parked at the entrance into Russia's main Black Sea port. 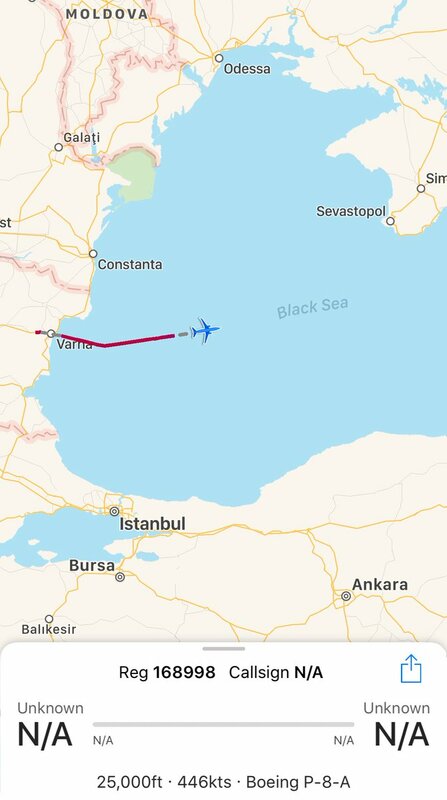 You only hear about it when the US complains about the Russians intercepting them, but the US is now basically permanently parked at the entrance into Russia's main Black Sea port. The Russian news agency TASS is reporting that Russia will soon deploy a second S-400 air defense battery to Crimea. The missiles are currently in pre-deployment tests in the Astrakhan region in southern Russia. The first battery in Crimea has been operational since January of this year. The context for this deployment is that US spy planes have been carrying out relentless surveillance of Russia's main Black Sea naval base in Sevastopol, Crimea. The American P-8 and EP-3 surveillance planes take off from Bulgaria, fly over to the outskirts of Sevastopol, and then keep loitering on the edges of Russia's territorial waters for hours on end. The media only reports on it when the US complains about an "unsafe" Russian interception of these planes, but they go on constantly. Russia's territorial waters extend 12 nautical miles off the coast (14 miles or 22 kilometers).